There's no more time-honored form of nostalgia than telling youngsters what things cost when you were a kid. The stories are universally embellished and probably ignored. "When I was a kid, shoe shines were just a penny." "If I invested a dollar in Coca-Cola when I was a kid, today I'd own the moon." "When I was a kid, cars cost a nickel and we called them bicycles." That nostalgia has been put to good use by GOBankingRates, which assembled the cost of going to Disney World in every year since it opened back in 1971 using data from AllEars.net. Unsurprisingly, the price has gone up considerably. Even setting aside inflation, the price has risen with almost every park expansion over the years. At the study, GOBankingRates offers contextualization for every year's increases inside the framework of the park's history. They range from new resorts opening to new rides. It also notes how the admission process has changed over the years. For instance, in 2013 this Magic Kingdom one-day pass cost $95, but it no longer included access to other areas. 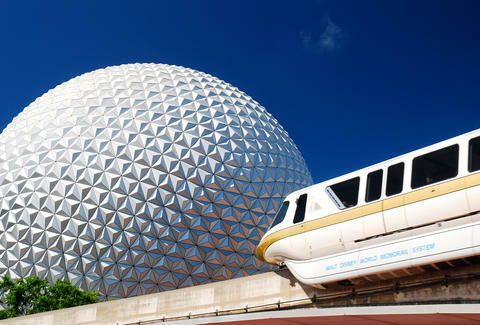 They report that "tickets to EPCOT Center, Animal Kingdom, and Hollywood Studios would cost $90 each" after this change. With prices this high, you may want to spend a little time away from the theme park while you're on vacation. Fortunately, Orlando is more than just Disney World and if you can't get away, Disney World isn't just for kids. On the other hand, if admission has gotten too rich for your blood, you could get a job there and get in free. Though, that's not all it's cracked up to be.